Safety managers benefit from looking at samples from other safety manuals. A template is a great starting point to get over writers' block and to ensure you are not missing anything. Sample duties & responsibilities templates (like the one offered). Helps establish new safety accountabilities for new SMS programs. 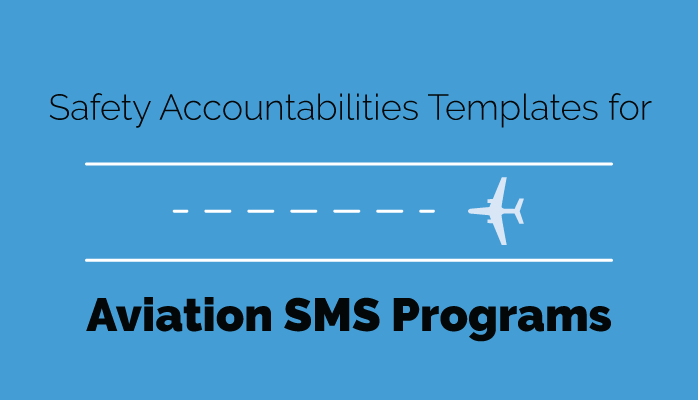 Safety accountabilities are documented at the beginning of every aviation SMS program. In identifying the safety accountabilities of all members of the management team, the accountability framework is clear throughout the organization. But you should not stop at management, but continue on to the employee level.